Guitarist, Born in Germany, currently living in Hawaii. In his teens, Govi performed as the lead guitarist in bands that played everything from rock to blues, including early Beatles and Pink Floyd. These experiences led to his first professional gig as a member of a group that played original material and won a national band competition and a recording contract which allowed them to tour throughout Germany. In his teens, Govi performed as the lead guitarist in bands that played everything from rock to blues, including early Beatles and Pink Floyd. These experiences led to his first professional gig as a member of a group that played original material and won a national band competition and a recording contract which allowed them to tour throughout Germany. Govi spent eight years living and studying in India, where he started playing the mandolin, mandola cello, sitar, bouzouki, charango and the 8-string ukulele. While in India, he also established a friendship with German new age artist, Deuter. Their mutual cooperation led to Deuter co-producing in 1986 Govi's debut album Sky High. 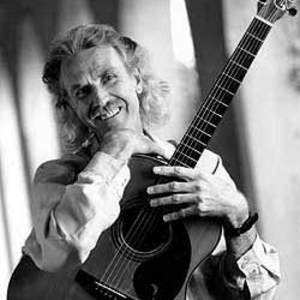 Govi's music gained in popularity in the 1990s, with the expansion of peoples awareness of world music and a renewed passion for flamenco, spawning new age hit albums like Passion and Grace (1995) and Andalusian Nights(1999). His 2006 album Jewel Box peaked to 15th place on Billboard's Top New Age Albums chart.